We have been building software systems that add geographic intelligence to enterprise business processes since 1998. 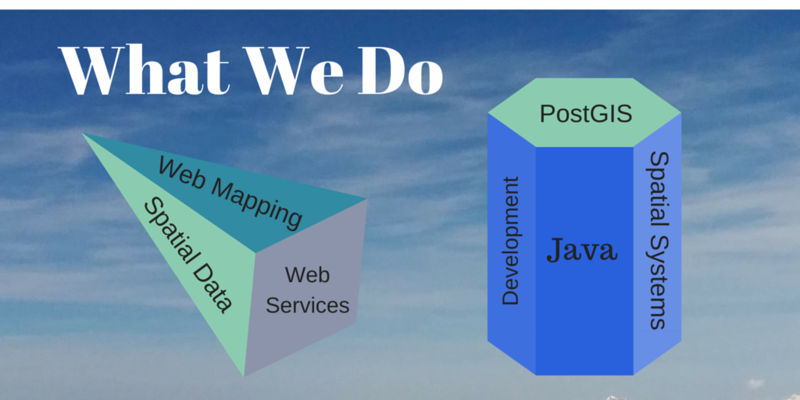 We have expertise in Java, PostGIS, FME, ESRI, Oracle Spatial and more. We can build custom software systems integrating proprietary and open source components into innovative and cost-effective solutions to our clients' problems. We keep on top of the latest changes in enterprise spatial and web mapping technologies. Technologies from Google (Maps, Earth and KML), ESRI (ArcGIS), and Oracle (IAS, Spatial, Designer, Database) are key components in the solutions we build. We are not a vendor, and we recommend solutions that make the best use of your existing physical intellectual capital. A Refractions solution is technically sound, economically feasible, and long-term maintainable. Refractions Research is a world leader in open source geospatial technology. We develop the PostGIS spatial database and the uDig GIS desktop framework, and are active participants in many other open source projects. By using open source components, we can build geospatial systems that are flexible and inexpensive to deploy. Our clients like open source because it keeps costs down. We like open source because it gives us the freedom to innovate and build the best possible solutions.